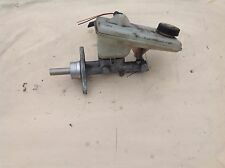 VAUXHALL VIVARO RENAULT TRAFFIC 2003 BRAKE MASTER CYLINDER 4 PIPE NON ABS TYPE. YOU ARE BUYING AS SHOWN IN THE PHOTOS A ABS PUMP REMOVED FROM A 2003 VAUXHALL VIVARO. Northern Ireland, Scottish Highlands, Scottish Isles, Channel Islands, Isle of man, Isle of White. Removed from a 2006 VAUXHALL VIVARO LWB 1870cc. We do not cover labour Costs. We Do Not Cover Any Labour Costs Involved With Fitting Or Removal Of Any Parts. VIVARO 2015. Make / ModelVAUXHALL VIVARO. Part also fitsVIVARO 2014 -2018 Mk2 (X82). We try our best to test and clean all parts prior to dispatch. VAUXHALL VIVARO (J7) DTI 08/01-01/00. APEC BRAKE MASTER CYLINDER. APEC WHEEL BRAKE CYLINDER. APEC BRAKE DISC & PADS KIT. BOSCH IGNITION & FUEL PARTS. MIXTURE PREPARATION NATIONAL BRAKE DRUM. QUALITY BRAKE DRUM. (VAUXHALL VIVARO Brake Master Cylinder 0000340361. Other Details: Mk1 (X83) Facelift 06-14 Mk1 TRW Brake Master Cylinder and Resevoir, 32067008-C, 2 pin plug for level sensor, 2 ports on cylinder. Jersey, Guernsey, Scilly Isles) as well as for the Scottish Highlands. NO1-USED-DIESEL-PARTS-FOR-YOU SPECIALISE IN USED CAR AND LIGHT VAN PARTS. Estimated via. ALSO ALL PARTS ARE IN PERFECT WORKING ORDER AND FIT FOR PURPOSE. Removed from a 2005 VAUXHALL VIVARO 1870cc. We do not cover labour Costs. We Do Not Cover Any Labour Costs Involved With Fitting Or Removal Of Any Parts. FOR YEARS: 2001, 2002, 2003, 2004, 2005, 2006, 2007, 2008, 2009 (2005). (VAUXHALL VIVARO MK2 1.9 TDI 2007 CYLINDER TANK. We cannot be held responsible if the item does not fit your vehicle. Head gasket & seals are not covered under the warranty. 4) As a result of insufficient coolant or lubricants. OPEL 4417126, 93189930. VAUXHALL 93189930. VAUXHALL VIVARO Box (X83) 2.0 CDTI Box Diesel 01/2006 07/2014 FWD 16 90 66. VAUXHALL VIVARO Combi (X83) 2.0 CDTI Bus Diesel 01/2006 07/2014 FWD 16 90 66. VAUXHALL VIVARO Platform/Chassis (X83) 2.0 CDTI Platform/Chassis Diesel 01/2006 07/2014 FWD 16 90 66. VEHICLE REF: BD53. THIS DOES NOT INCLUDE NI, ROI, HIGHLANDS OR OFFSHORE ISLANDS. Vauxhall Part Number: 9199236. Vivaro (2001-2004). Vauxhall Vivaro 2001-2004UP TO CHASSIS NUMBERS-4V602167, -4Y021249. Item details: Genuine Vauxhall Brake Main Cylinder. BRAKE MAIN CYLINDER. Opel Part Number: 4414019. With this in mind, we will indicate what type of product you are looking at within the following guidelines. Branches Nationwide. We will always attempt to rectify the issue as fast as possible! Eg, Vetech, Erst Klassig, Franzen, NK, etc. Brake Master Cylinder fits VAUXHALL VIVARO Platform/Chassis - 01> - ADN15124. Removed from a 2008 (Vivaro 2006 To 2014 Range) Vauxhall Vivaro PV SR 115 CDTi SWB 2.0 Diesel Manual Van L/Side, Engine Code M9R780. Vauxhall Vivaro - Brake Master Cylinder. Vivaro 2006 To 2014. Brake Master Cylinder Assembly. Removed from a 2008 VAUXHALL VIVARO 2900CDTI SWB 1995cc. FOR YEARS: 2006, 2007, 2008, 2009, 2010, 2011, 2012, 2013, 2014 (2008). We do not cover labour Costs. We Do Not Cover Any Labour Costs Involved With Fitting Or Removal Of Any Parts. (VAUXHALL VIVARO Brake Master Cylinder 0000304195. AB30-38, AB44-56, FK17-99, G83, IV1-28, IV30-39, IV52-54, IV63, KW1-14, PA21-33, PA34-40, PH18-26, PH30, PH31-41, PH49-50. Jersey, Guernsey, Scilly Isles) as well as for the Scottish Highlands. Removed from a 2002 VAUXHALL VIVARO DI 2700 SWB 1870cc. FOR YEARS: 2001, 2002, 2003, 2004, 2005, 2006 (2002). We do not cover labour Costs. We Do Not Cover Any Labour Costs Involved With Fitting Or Removal Of Any Parts. These parts are from a used vehicle may have scuffs and scratches. All parts are security marked, removal of this mark will invalidate your warranty. Bumpers, Panels & Bonnets. OPEL VIVARO A Box (X83) 2.0 CDTI (F7) Box Diesel 08/2006 on FWD 16 90 66. OPEL VIVARO A Box (X83) 2.0 CDTI (F7) Box Diesel 08/2006 on FWD 16 114 84. OPEL VIVARO A Box (X83) 2.0 ECOTEC (F7) Box Petrol 08/2006 on FWD 16 117 86. Make: VAUXHALL Model: VIVARO 2700 CDTI SWB. X2 PIPE OUTLET. Year Range: 2006-2014 Colour DIAGNOSIS: It is most important that you have your fault diagnosed correctly as incorrectly ordered goods are subject to Policy below. Removed from a 2015 ( Vivaro 2014 On range) Vauxhall Vivaro Combi (9 Seat) CDTi 115 LWB 1.6 Diesel Manual M.P.V., Engine Code R9M408. Vauxhall Vivaro Brake Master Cylinder. Vivaro 2014 On. Combi (9 Seat) CDTi 115 LWB. VIVARO 2016. Make / ModelVAUXHALL VIVARO. Part also fitsVIVARO 2014 -2018 Mk2 (X82). OPEL 093181375, 4415502, 93181375. VAUXHALL VIVARO Box (X83) 1.9 DTI Box Diesel 08/2001 12/2006 FWD 8 101 74. VAUXHALL VIVARO Box (X83) 2.0 16V Box Petrol 08/2001 12/2006 FWD 16 120 88. VAUXHALL VIVARO Box (X83) 2.0 CDTI Box Diesel 01/2006 07/2014 FWD 16 90 66. Removed from a 2003 VAUXHALL VIVARO DTI 2700 SWB 1870cc. FOR YEARS: 2001, 2002, 2003, 2004, 2005, 2006 (2003). We do not cover labour Costs. We Do Not Cover Any Labour Costs Involved With Fitting Or Removal Of Any Parts. Removed from a 2002 VAUXHALL VIVARO DTI 2900 SWB 1870cc. FOR YEARS: 2001, 2002, 2003, 2004, 2005, 2006 (2002). We do not cover labour Costs. We Do Not Cover Any Labour Costs Involved With Fitting Or Removal Of Any Parts. Item Specification. Estimated via. ALSO ALL PARTS ARE IN PERFECT WORKING ORDER AND FIT FOR PURPOSE. 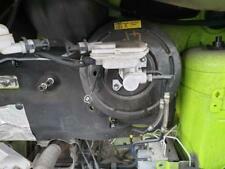 REMOVED FROM:2004 VAUXHALL VIVARO 1.9 DTI 6 SPEED MANUAL. BRAKE MASTER CYLINDER & SERVO. Brake Master Cyl fits VAUXHALL VIVARO X83 1.9D 03 to 14 B&B. NISSAN PRIMASTAR Box (X83) 1.9 dCi 100 Box Diesel 09/2002 on FWD 8 100 74. OPEL VIVARO A Box (X83) 1.9 DI (F7) Box Diesel 08/2001 on FWD 8 80 60. Blue Print Brake Master Cylinder Vauxhall Vivaro Nissan Primastar A ADN15125 - Free Delivery from Simply Car Parts - Brand New BluePrint part - 3 Years Manufacturers Warranty. OPEL 4417126, 93189930. VAUXHALL 4417126, 93189930. OPEL VIVARO A Box (X83) 1.9 DTI (F7) Box Diesel 08/2001 on FWD 8 101 74. OPEL VIVARO A Box (X83) 2.0 CDTI (F7) Box Diesel 08/2006 on FWD 16 90 66. OPEL VIVARO A Box (X83) 2.0 CDTI (F7) Box Diesel 08/2006 on FWD 16 114 84.